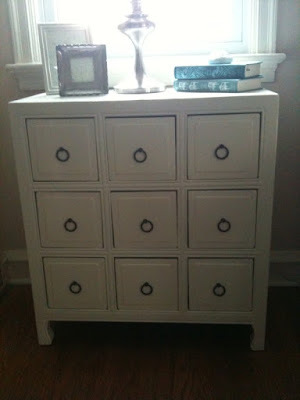 If you have been in my house lately, you know that I simply adore white painted furniture. At last count, I have painted no less than six pieces in my home, and I have more on my list. I'm not sure why people shy away from trying to paint something they already have ... if you love the lines of the piece, what is the point in keeping it a different color or finish simply because it came that way, and what is the harm in changing it into something that you actually love? 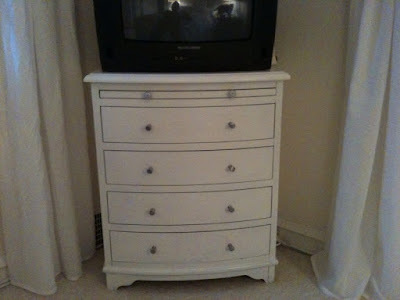 Here are a few examples of how dramatically a few coats of white paint can transform furniture. * LIVING ROOM END TABLES * When I began my living room redo back in the Winter, I knew I wanted to reuse the end tables that flanked the sofa. 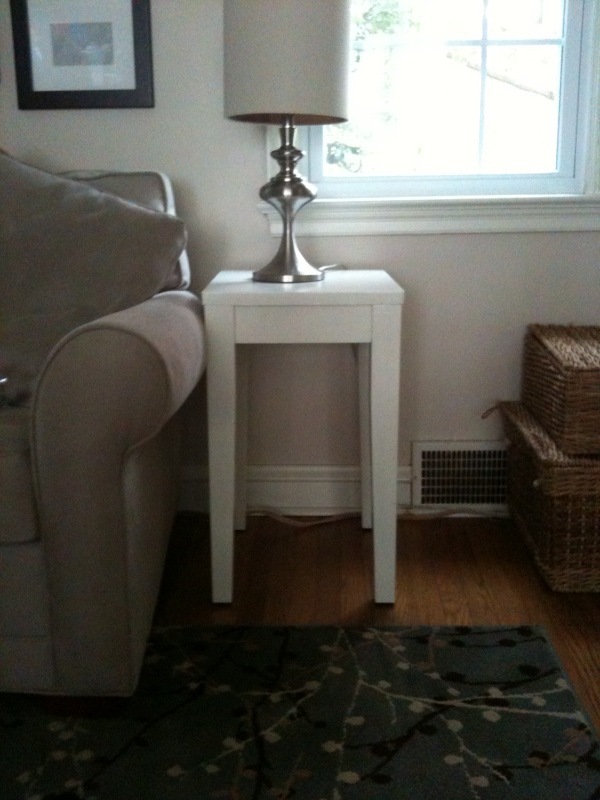 The table on the right is from Pottery Barn and excellent quality. It fit in the space perfectly. It was just too dark. 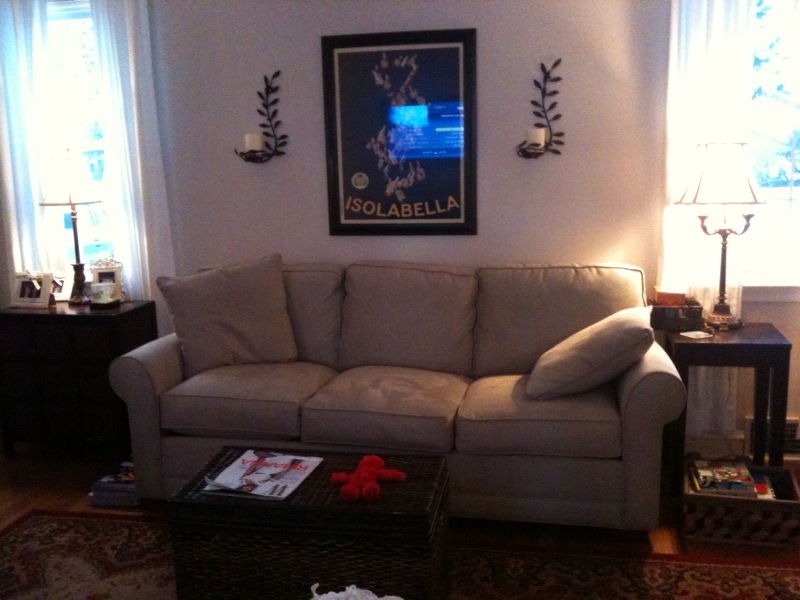 Likewise, the media cabinet (from Pier 1, circa 2004) on the left held all of our CDs and DVDs. And the measurements worked just right in that space. Here is a snapshot of the tables before I took my paintbrush to them (note: this is also a snapshot of the living room before I completed the redo). 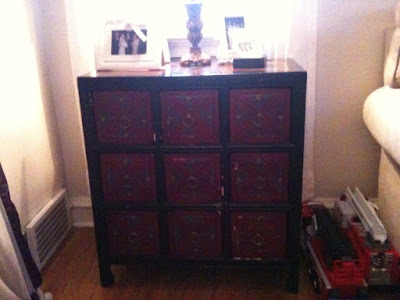 * BEDROOM CHEST* We bought this little chest in 2005. The purpose was for more storage and to hold our TV. 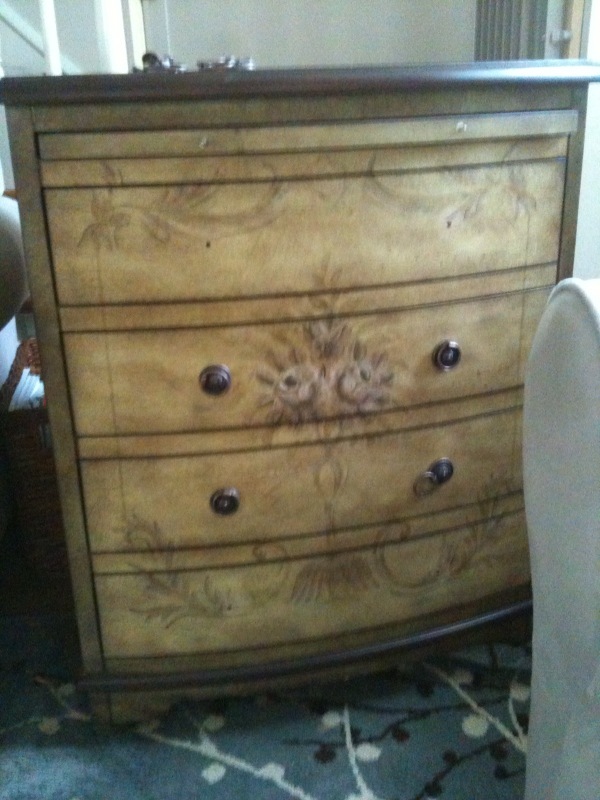 I wasn't wild about the pattern on the chest or the color, but it fit in the space perfectly and served its purpose. Here is the chest before (note: I snapped this picture after I had removed a few pieces of hardware - oops). Once I tackled my living room end tables and realized how easy it was to paint furniture, I decided to paint this little chest white too. After a few days of work and switching out the hardware for something a little more modern (the new knobs came in an economical set at Target - I think they were about $10 for all of them), the little chest went from yawn to swoon in one fell swoop. Here is the chest now looking good! Do you have any dramatic before & after photos from furniture you painted? I'd love to see.